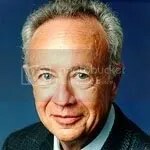 Andy Grove of Intel fame provides a fascinating read on the effects and potential advantages of technological disruption. Following is the preface to Only the Paranoid Survive: How to Exploit the Crisis Points that Challenge Every Company. Grove speaks to the importance of understanding inflection points and how great organizations exploit crises to advance their own objectives. Grove’s lasting question to Management is timeless: what would you do differently if you replaced yourself tomorrow? Though dated (1996), the learning lessons remain relevant in developing an understanding of the impact of shifting boundaries and the importance of plotting a course through dark waters. As a leader, crucial to survival is an awareness to evolving market dynamics and seismic technological shifts. It permits a foundation from which to effectively react to conditions not of your making. A corollary to Grove’s effort is Hal Moore’s Four Basic Principles of Leadership as an execution paradigm in reacting to disruptions and competitive forces. Though Colonel Moore was speaking to battlefield realities and his own experience in the Ia Drang Valley, its application to industry and business is complete. As you consider what ails (and assails) your organization, consider the lessons of Grove and Moore. From the boardroom to the battlefield, learn to exploit the unexpected to your advantage.